Certified real estate appraisers are specialists in estimating the value of real property, such as land or buildings. Estimates of value, known as appraisals, usually are made when property is bought, sold, assessed, taxed, condemned, insured, or mortgaged. They may also be required in divorce actions, when partnerships are dissolved, and when property is listed as a business asset. Some certified appraiser jobs include giving expert testimony in court, and they may also act as consultants. Appraisers of other items exist, of course; those who deal with antiques are an example. However, only a state-certified real estate appraiser is qualified under state law to offer an appraisal of real property value. Appraisers’ activity often closely follows that of the real estate market. The demand for new appraisers is greatest, and appraisal staffs are busiest, when real estate sales are booming. An appraiser’s certification is issued by the Pennsylvania State Board of Certified Real Estate Appraisers, a professional agency that is part of the Pennsylvania Department of State. 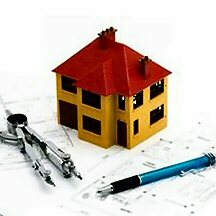 In Pennsylvania, there are two types of certified real estate appraisers: residential, who are certified to appraise only residences of one-to-four living units; and general, who are certified to appraise all real estate, including open or undeveloped land, and commercial and residential properties. It takes longer, and involves more time and study, to become a certified general appraiser. A third type of certification, that of broker-appraiser, was discontinued by the state many years ago. However, those who were certified as broker-appraisers at the time the title was discontinued were allowed to remain in that role so long as they were re-certified (took continuing education) every two years. Their practice under state law is limited to specific tasks. The number of broker-appraisers remaining in Pennsylvania continues to decrease every year.